My Little Ray of Sunhine is such a sunny and pretty room! Very nice yellow and green colour scheme of the room! ! The open gate and yellow picket fencing separating off the areas of the room looks so nice and is vey sunny! The sleeping area looks very nice! The orange curtains look colourfully nice on the windows. The corner nook with the semi circle shelving table looks nice. The butterflies look so very pretty around the baby shoes wall decor! 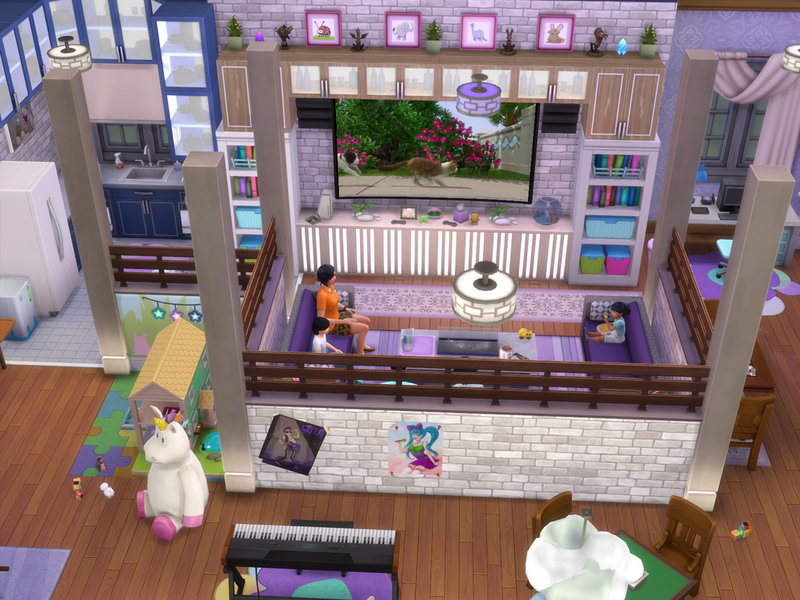 The unicorn and heart teddy are cute in the room! The little girl wheh a toddler will enjoy sitting on the patterned stools with the toys, reading a book. She will have fun playing with toys from the toy chest. Very nice changing table nook! The cabinets look very nice how they are placed on the walls.The towels are a nice touch in the nook between the cabinets, and the pictures of the girls look very nice on the wall. The washing basket, clothes hamper, towels and toiletries are nice touches there. The bookcase nook is very nice! The green floral wall pattern look nice there. The animall pitctures look cute on the wall! The garden area has so many creativity designed ideas! It looks very great the way the landscape picture is placed on the wall, with the curtains draped on it, the greenery over the top of it, and hot air balloons on the wall! The flower boxes look very pretty either sides of the doll house. The butterflies wall pattern look very nice. The clouds, birds wall deco and sun decor look great how they are placed on the walls! The rainbow wall shelf is a nice touch there. The little girl will have fun playing with the doll house. The lady bird, bunny and butterflies are cute on the grassy flooring! The pool with the turtle and yellow duck is so cute! Very nice and very creative furnishing and layout of each area off the room! Thank you very much for entering this week's challenge! 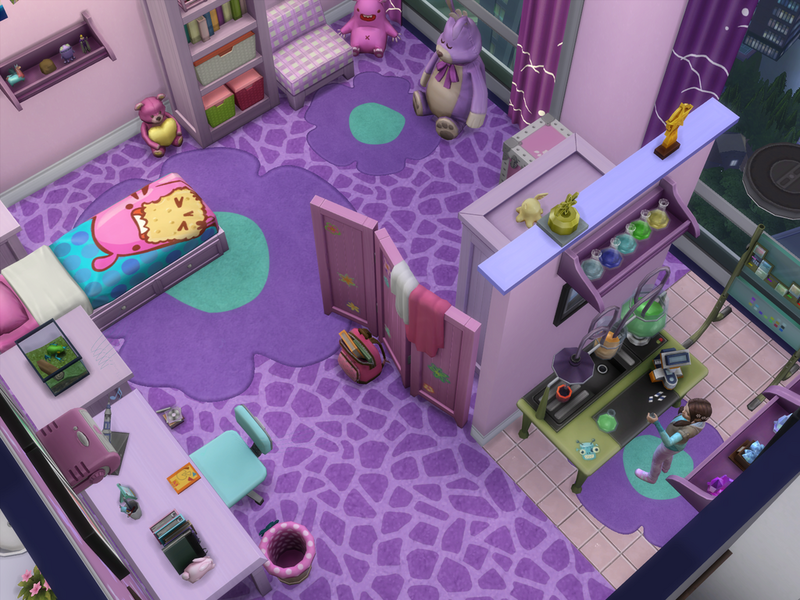 I just love how creative all your rooms are! They all give off a different feeling - very inspiring!! great job! i especially love the different rooms. Congratulations on Snows Garden Adventure being favourited by Maxis! That is exciting! 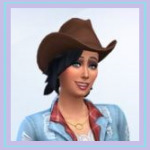 Congrats on the Maxis fave sweetie! I just found you on the gallery and followed you to have a look at that Fun and Thrills park you were talking about. Not put it in the game yet, but looks great! Who is this room built for? For me I'm not one who likes going out to celebrate I feel more comfortable stay at home and get together with family and grandkids and sit at the table having cups of tea and chat with a bowl of popcorn, ice cream, for the kids and their gaming console box and a lovely environment like a sunroom with flower pots and my favorite orchid plant but can't grow them but in the sims 4 game you can and what a lovely place to have it in a sunroom where it's cool in summer and warm in winter setting near a fireplace watching movies with family. Your description of what you would like iin a room especially for you is very nice and special It sounds such a special and lovely sunroom. 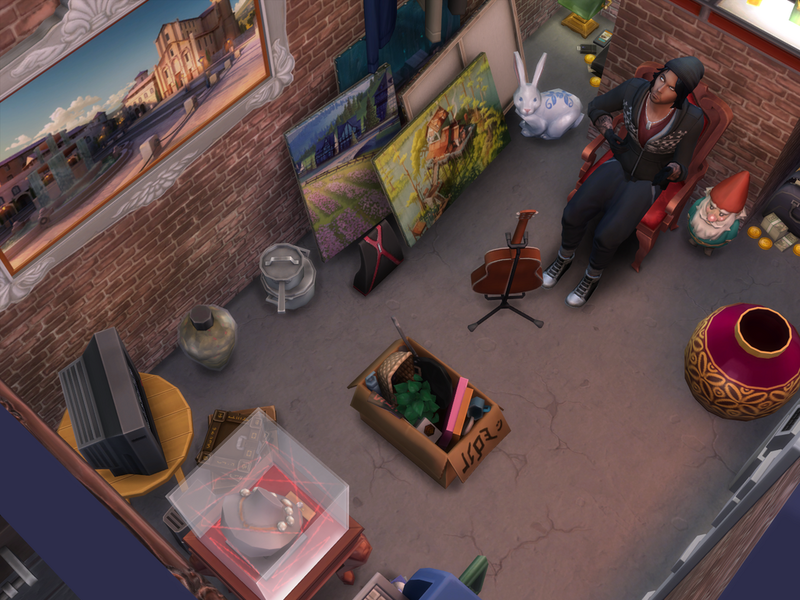 Your simversion of a sunroom designed for you looks very nice! It is such a very nice sunny and light filled room! Very nice furnishing of the room! The type of windows used and the curtains on them looks very nice. The ceiling lantern lights look pretty! The floral lattices and the flower boxes look so very nice on the walls in the room! The vases /pots flowers and plants look so pretty along the edges of the windows wall! It is nice that an orchid is growing in a planter there. The nook area for the kids to have fun playing console games looks great ! They will have fun sitting on the sofas gaming,and having a drink from the drinks tray. The yellow flower floor rug is a very nice touch there.! The side wall feature with the framed large yellow flowers picture and the butterflies on it looks so very sunny and pretty! It looks so nice! The greenery on the walls either sides of it and the flowers on the ground there look so very nice! Very dining table area in the room! 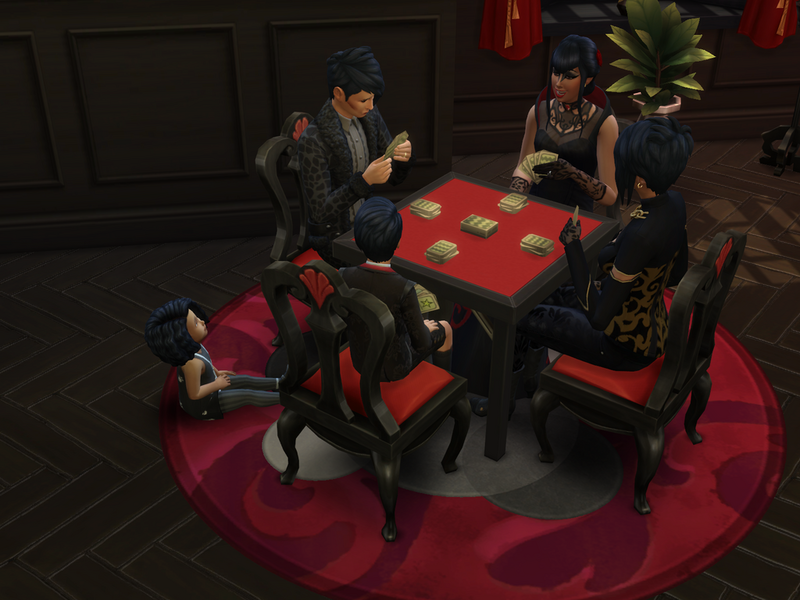 Sims will enjoy sitting at the dining table eating meals together or having a cup of tea and chatting. The flowers in the table are pretty for sims to see when sitting there. 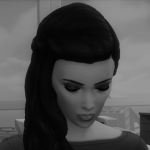 The fish in the aquarium would be calming and restful for sims to enjoy looking at. The wall cabinets look nice how they have been placed around the aquarium . 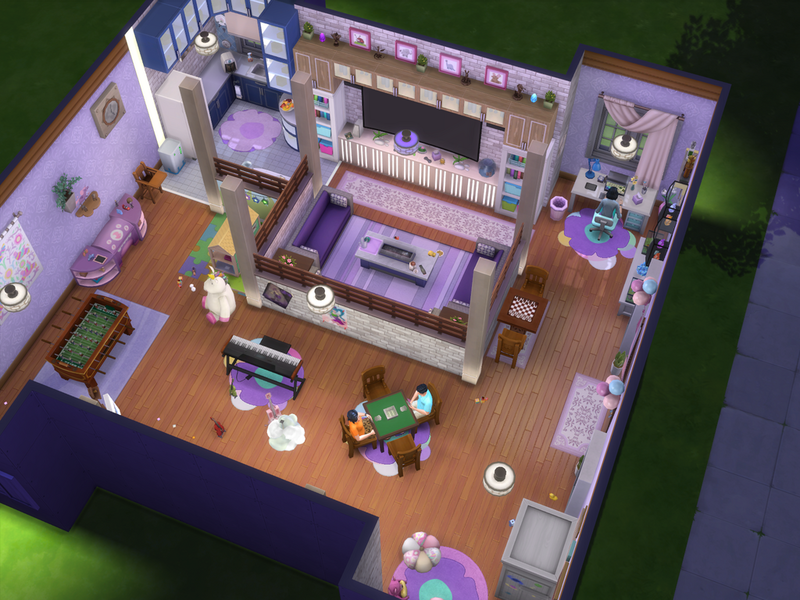 Sims will enjoy eating popcorn and ice cream in the room! It is a very nice sunroom! I'm with you @chips46, I'd much rather stay home and enjoy my Mother's Day Gorgeous sunroom! So pretty with all the beautiful flowers and nice cheerful sunny wallpaper. The fish tank looks awesome tucked in with the cabinetry! Happy Mother's Day! Sylvan Dining Garden is such a very pretty outdoors dining room! 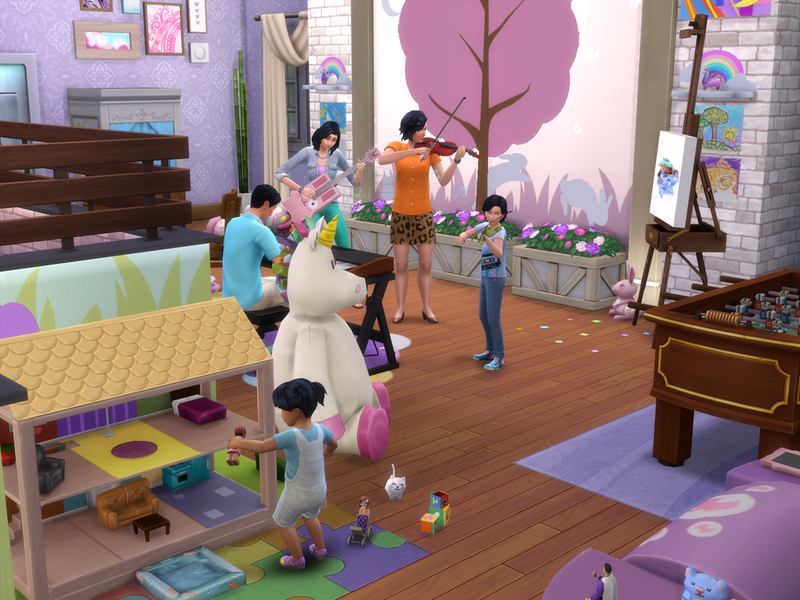 The cherry blossom trees and the colourful flowers through the room areas look so very nice! Each nook area of the room looks so very nice! Sims will enjoy sitting resting on the seat bench watching the birds feeding on the seed feeder, and the bird house is a nice touch near the feeder. Very nice and pretty pink blossoms roof covering trellis over the dining area! 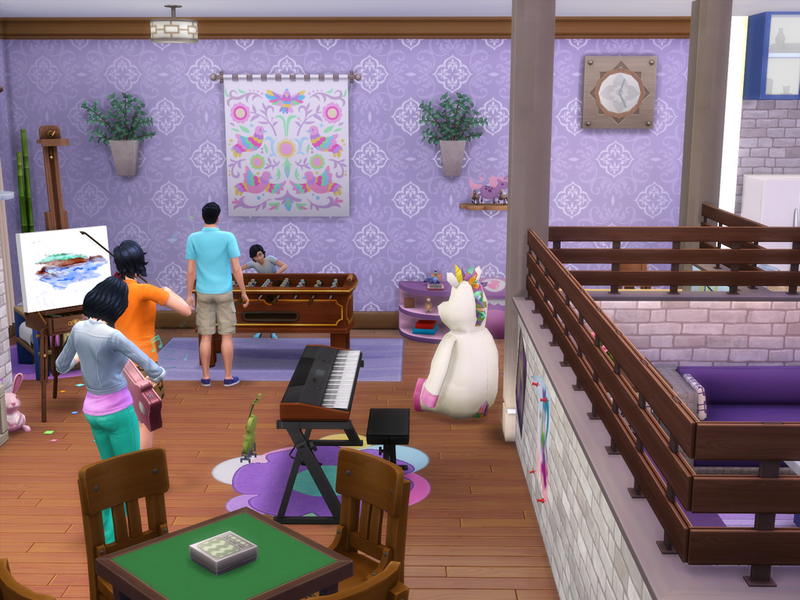 Sims will enjoy dining at the table, enjoying such a nice floral setting for eating meals! The outdoors kitchen and bar nook looks great! The white colour of the BBQ and bar counter looks nice. 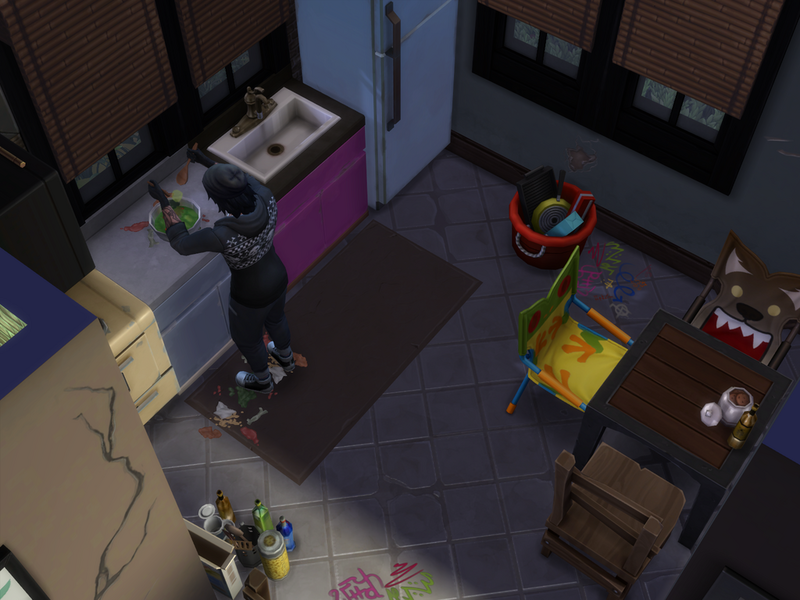 Sims will enjoy cooking meals on the BBQ in the outdoors air,and enjoy having a drink from the bar or the drinks tray , with their meals. The trellis covered pergola looks so nice! It is nice that harvestable plants in pots are on the sides of the pergola. 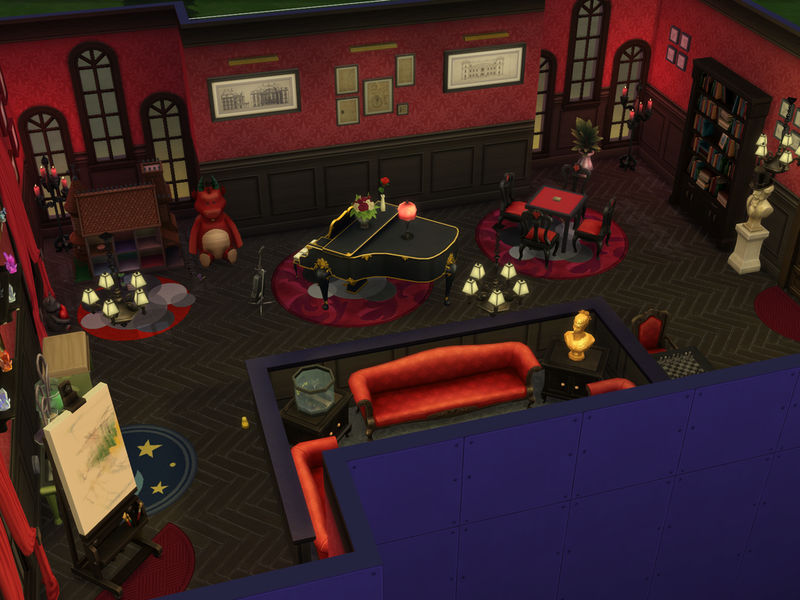 The lantern lights and the candles on the floor are a very nice touches there. Very nice corner music nook! The stereo looks great placed on the tree stump table. 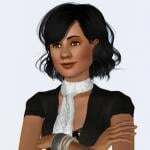 Sims will have fun dancing to the music! The bird bath is a nice touch there. The hanging flowers light tree looks very nice. The pond area looks so very great! The rock wall behind the pond gives a great look to the nook area, and the water fountain looks so very pretty! The lilypads look nice in the water. The Fairy statues are a nice touch near the pond. They suit the type of room so very well! The flying butterflies look so very pretty! The bunny is cute! Nice chess playing nook. 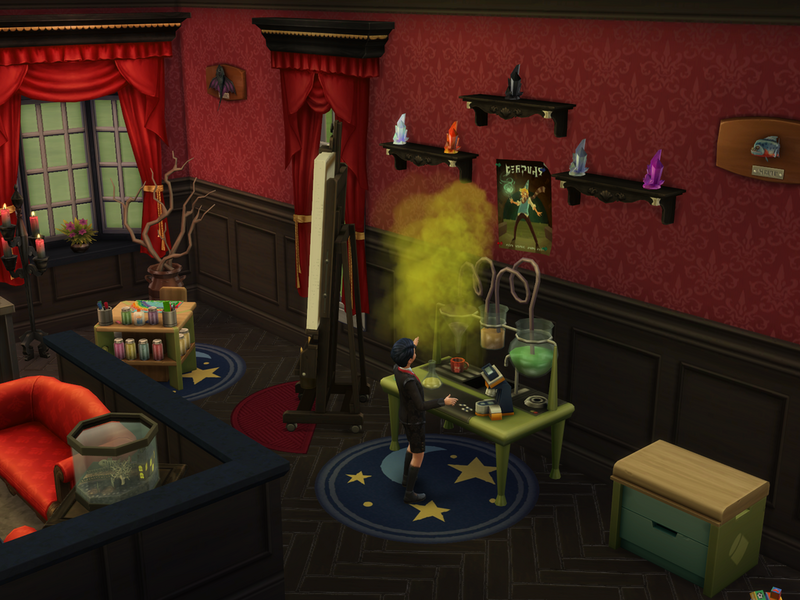 It is very nice that the magical Sylvan Glade tree is in the room for sims to travel there from the room. The design of the pergola and the whole room looks so very nice! Thankyou very much for entering this week's challenge! In uptown Alto Apartments 1010 Alto Apartment has been renovated into a 2 bedrooms 3 bathrooms a fitness room woodwork room a science table in the girls bedroom. 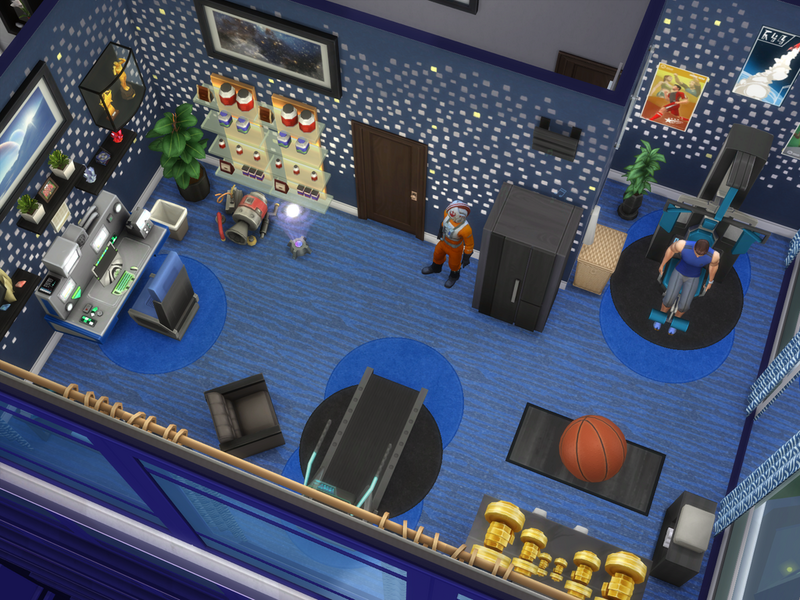 It is a very nice makeover of the apartment to suit the sims family! I decided to put my entry in if I dont it will just sit in my library so I went with this dark creepy abandoned hideout I thought it would suit a burglar living there and made it looking creepy and who would want to enter there when you see skeletons, tombstones at the front it's a warning do not enter so I thought it would be perfect for a burglar and he doesn't need much because too busy robbing sims home or wherever he might want to steal things. 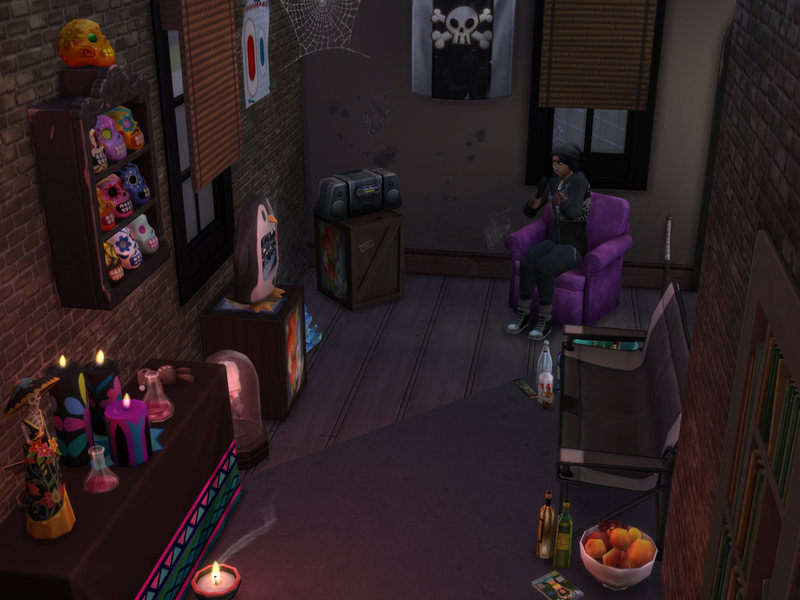 Freddie's Creepy Hideout is very creatively great! It looks very scary! 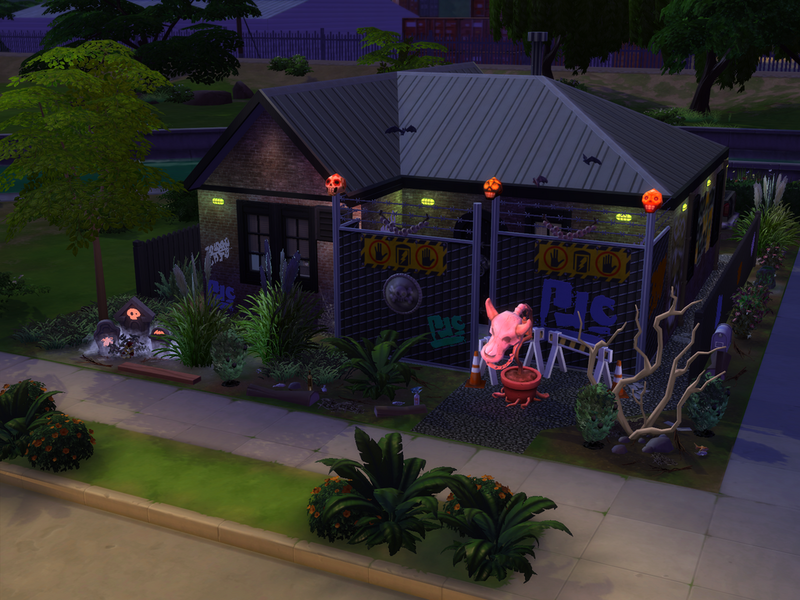 The tombstones, cowplant, overgrown plants, graffiti on the wall, wire fencing ,signage, and skulls lights in the front areas look great! 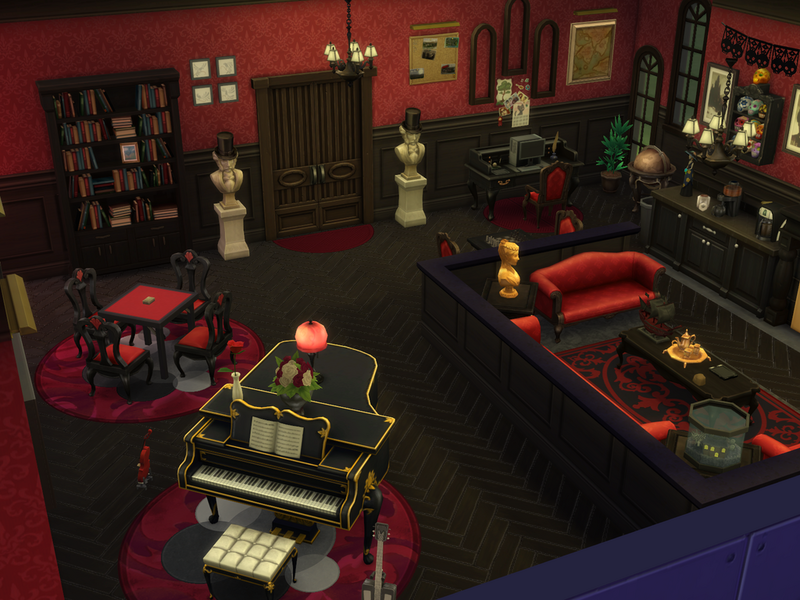 The run doen furnishing of the interior looks great! The old walls and flooring give a great look to the room areas! The wall cracks look great! 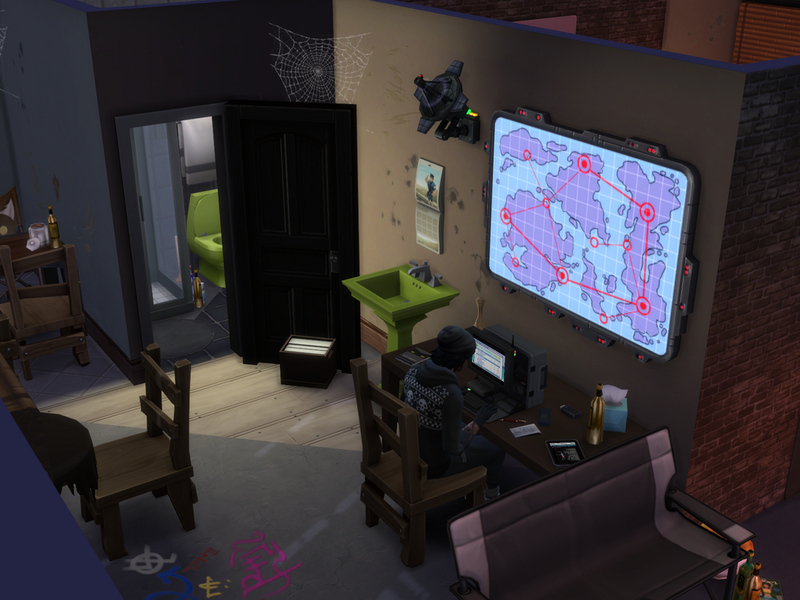 It is great that there is a study desk nook and map on the wall for Freddie to enjoy using the computer and map,to plan his next crime! The varied type of dining chairs looks great! The street art on the floor looks great and very nice design of the living area! 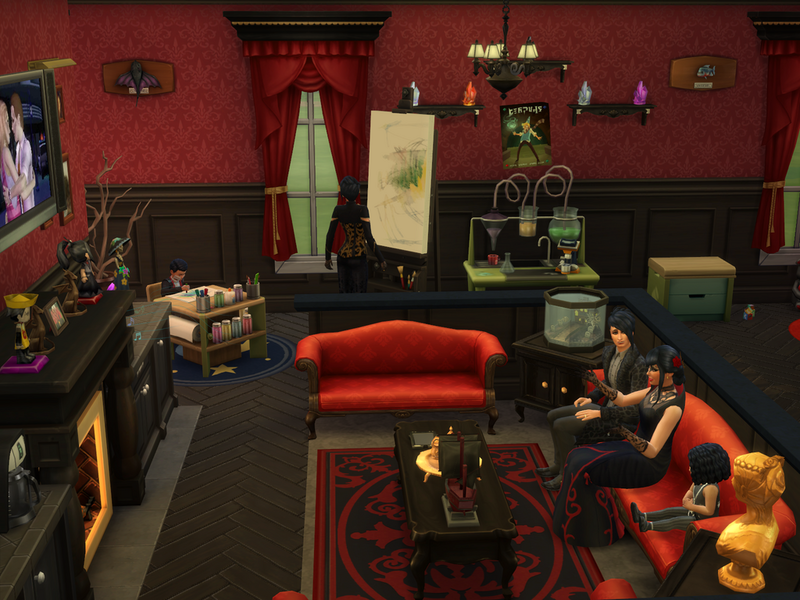 The shelves of skulls , skull banner, and candles on the table give a great look in the room! It is great that fruit crates are used as a table for the radio and tv. Freddie will enjoy siitting there watching tv on the penguin tv and listening to radio music. 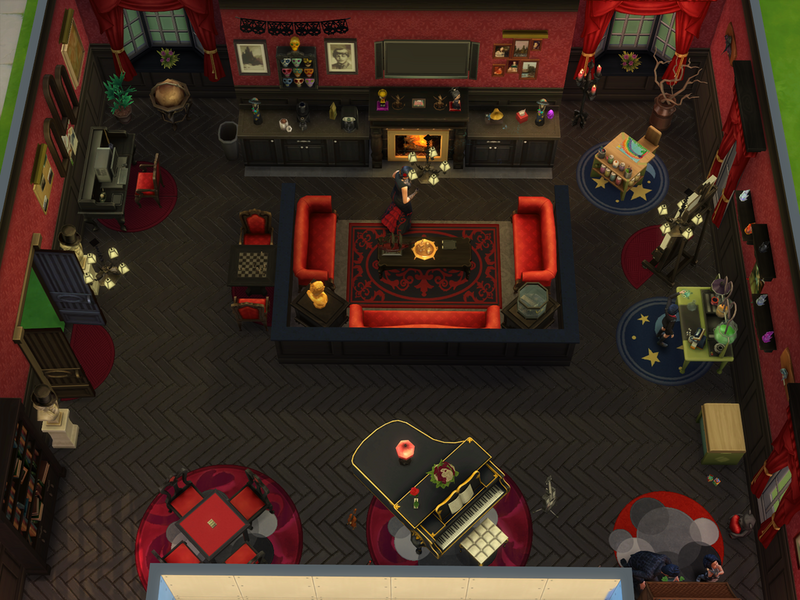 The room with the stolen items looks great! It is great seeing the things he has stolen! 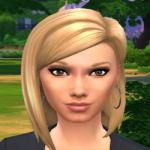 Your simversion of Freddie looks very nice! 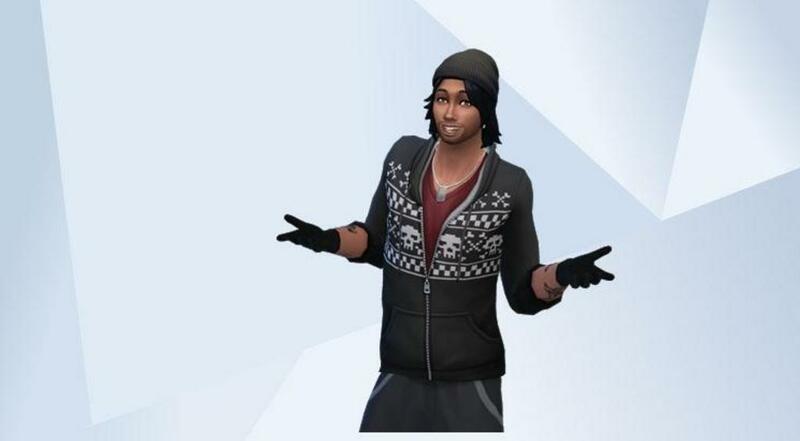 The skulll pattern on his jacket, his hat and the black gloves looks great! A family activites room where the whole family can enjoy all the different types of activites together. The two family activities rooms are very nice! @chips46 The themes of them different so much and they are both so very detailed and uniquely nice! The funishing of them both look very nice! 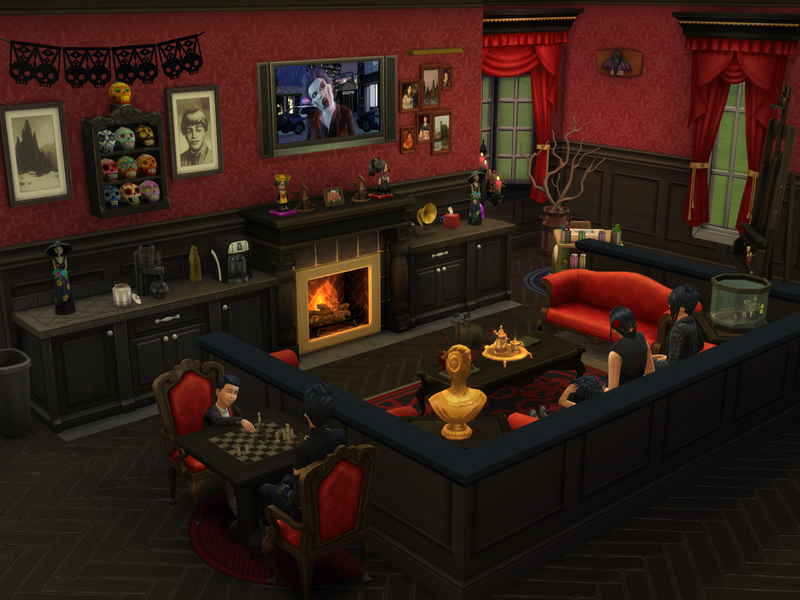 The gothic theme of Family Get Together looks very nice! 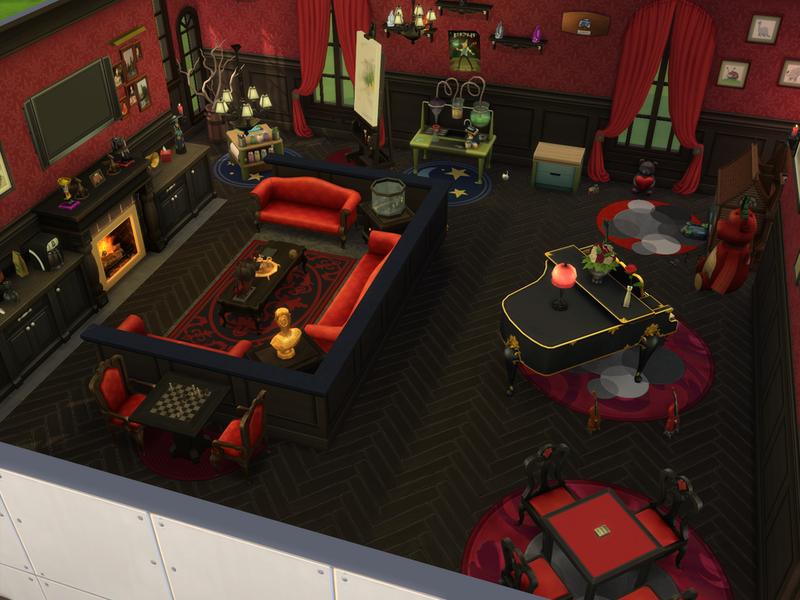 Very nice red and black colour scheme of the room! Very nice sofa seats sitting area in the middle of the room. 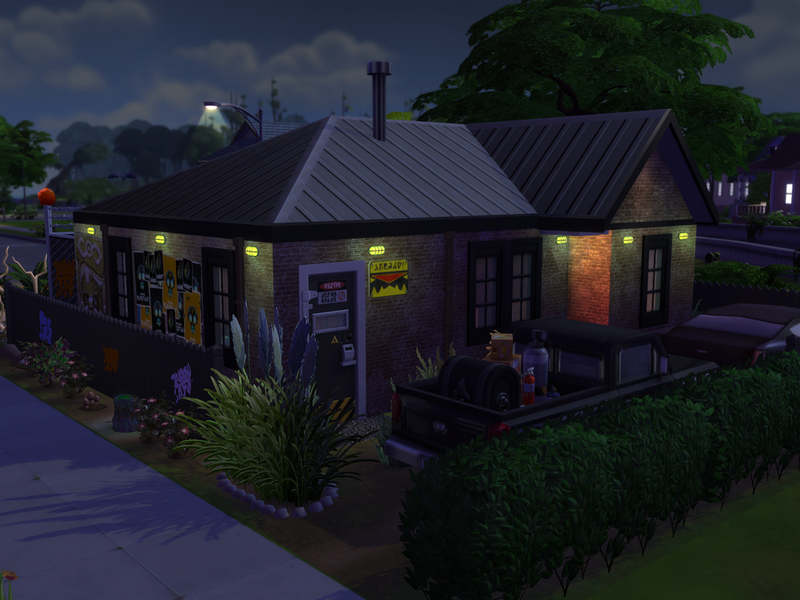 Sims will enjoy relaxing there in front of the fire, watching tv together or reading a book. The skulls look great on the wall! The patterned floor rugs are nice touches in the room, and look great placed under the activity areas. 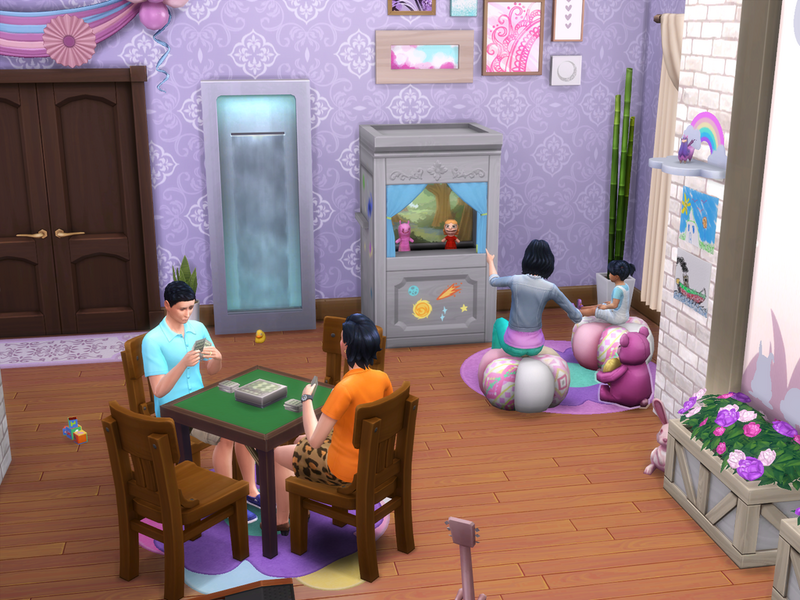 Very nice sections of the room where sims can have fun playing with the dollhouse, doing artwork on the activity table, play card table games and enjoy doing experiments on th science table. 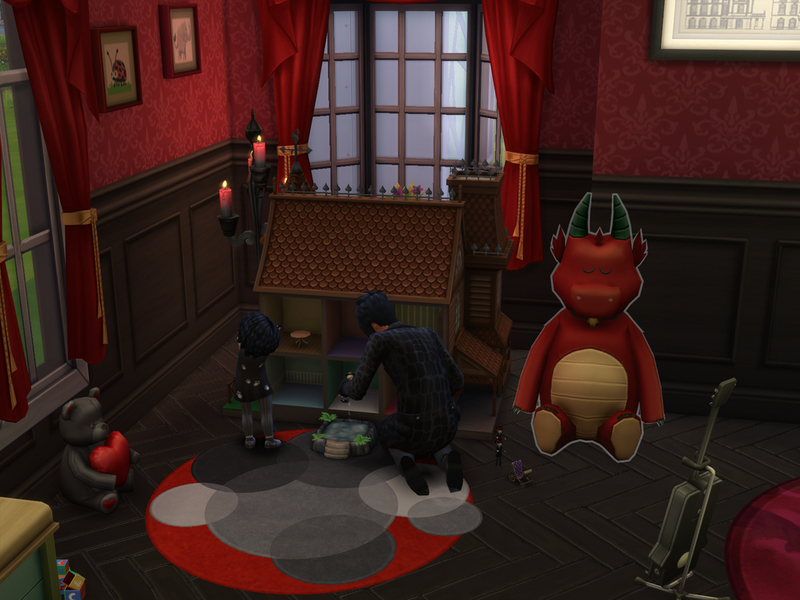 The dragon and heart teddy are cute in the room! 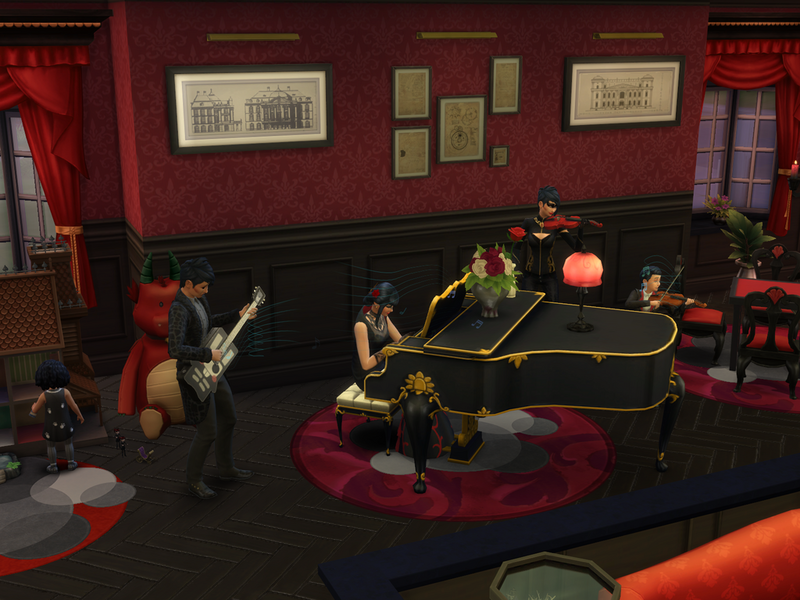 Sims will enjoy playing the piano and guitar in the room. The flowers are a nice touch on the top of the pisno. They will enjoying using the computer at the desk table. More Family Tine is so pretty! Lavender colour scheme is very nice! The tv nook is so very great how it has been designed! The animal pictures look cute on the top of the cabinets with the alternating items! There are many special activity areas in the room! I won't post about them all, but they look so very nice!